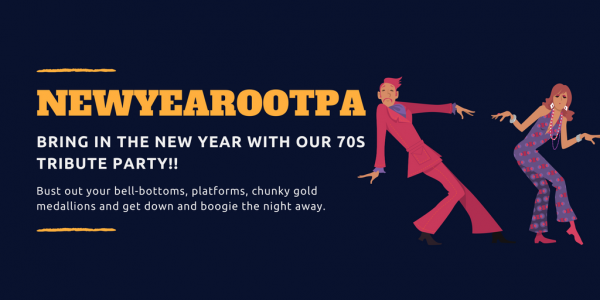 Bring in the New Year with the team from Stein's Taphouse at their 70's tribute New Years Eve Party! Bust out your bell-bottoms, platforms and chunky gold medallions, get down and boogie the night away. We are not Jive Talking here – this will be the best fun you have had all year! Enjoy a fun night out with open bar, finger food and House DJ playing 70's disco, soul and funk. Door prizes for the best 70's fancy dress and best dance moves. Tickets $125 booked in advance [or $150 at the door] and includes a 4 hour food and drinks package from 8:30pm - 12:30am. Open bar includes craft beer & ciders on tap plus wines by the glass and soft drinks. Come and shake your tail feather at Stein's this New Years Eve!